Bosch Speed Clean drill bits are built using a solid piece of steel with a dust channel that's milled to Bosch specifications to extract dust while drilling, creating 25 percent greater drilling speed. The dust extraction bit system saves time, saves money and produces 90% less dust than traditional drilling methods. The bit life is comparable to the life of Bosch SpeedX SDS-max bits. Solid carbide tips are embedded in a steel head with robust four-cutter geometry enhancing bit speed and life. The Speed Clean bit, connected to vacuum system, installs adhesive anchors up to 50% faster when compared with the standard hand-cleaning method. A proprietary Bosch design allows dust and debris to be removed through the milled center of the bit. The system is optimized for adhesive anchoring applications, working with Simpson Strong-Tie Set-XP high-strength anchoring adhesive, which requires higher clean-hole standards. Bosch carbide rotary hammer bits feature tips that stay sharper longer and deliver more holes within specification than competitive bits. Manufactured to ANSI specification B212.14. 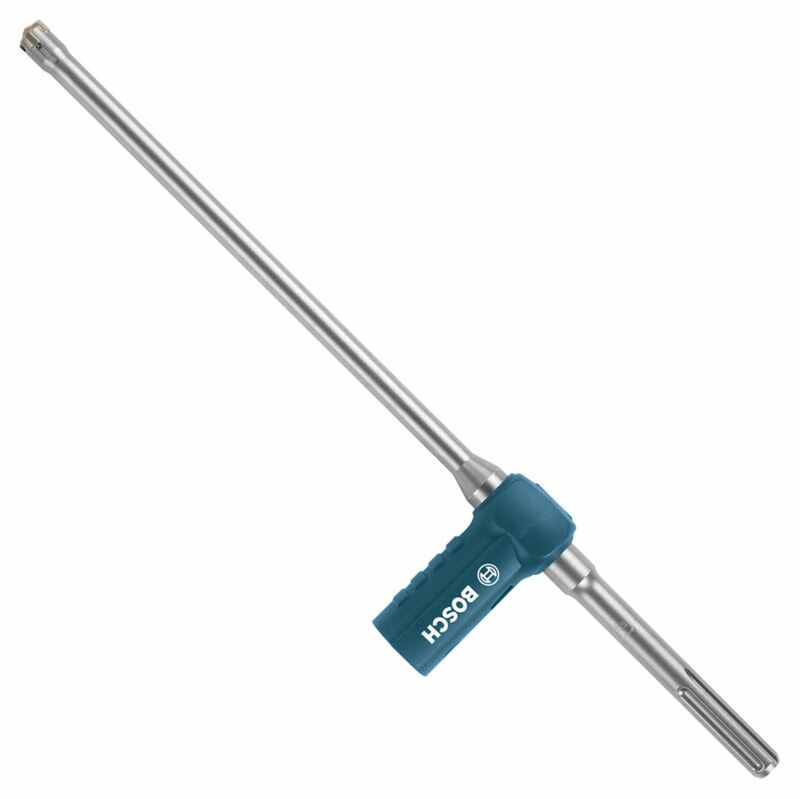 SDS-max<sup></sup> rotary hammer bits fit Bosch SDS-max<sup></sup> hammers and competitive SDS-max<sup></sup> drive hammers and Hilti<sup></sup> hammers using TE-Y and TE-FY shanks. Unrivaled power from solid carbide head with robust S-cutter design for added speed and life. Bosch Speed Clean drill bits are built using a solid piece of steel with a dust channel milled to Bosch specifications to extract dust while drilling, creating 25 percent greater drilling speed. The dust extraction bit system saves time, saves money and produces 90% less dust than traditional drilling methods. The bit life is comparable to the life of Bosch Bulldog SDS-plus bits. Solid carbide tips are embedded in a steel head with robust two-cutter geometry enhancing bit speed and life. The Speed Clean bit, connected to vacuum system, installs adhesive anchors up to 50% faster when compared with the standard hand-cleaning method. A proprietary Bosch design allows dust and debris to be removed through the milled center of the bit. Dust extraction also increases drilling speed by 25%. A rubber vacuum adapter is provided with every Bosch Speed Clean bit. Speed Clean is a part of the Bosch dust-collection system that helps you become compliant with OSHA silica dust regulations. 3/4 inch. x 21 inch. SDS-max Speed Clean Dust Extraction Bit Bosch Speed Clean drill bits are built using a solid piece of steel with a dust channel that's milled to Bosch specifications to extract dust while drilling, creating 25 percent greater drilling speed. The dust extraction bit system saves time, saves money and produces 90% less dust than traditional drilling methods. The bit life is comparable to the life of Bosch SpeedX SDS-max bits. Solid carbide tips are embedded in a steel head with robust four-cutter geometry enhancing bit speed and life. The Speed Clean bit, connected to vacuum system, installs adhesive anchors up to 50% faster when compared with the standard hand-cleaning method. A proprietary Bosch design allows dust and debris to be removed through the milled center of the bit. The system is optimized for adhesive anchoring applications, working with Simpson Strong-Tie Set-XP high-strength anchoring adhesive, which requires higher clean-hole standards.